We provide best study materials for competitive exam. Today update on Nayab chitnis exam center change notification. Nayab chitnich exam take by Gujarat gaun Seva pasandgi mandal but important reason wise some center change by Gujarat gaun Seva pasandgi mandal. We update our blog every day so you visit every day. 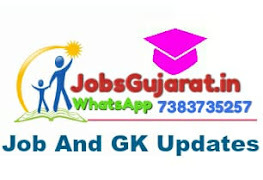 Our JobsGujarat.in blog team every update carefully for your career so read everyday.